While the constitution holds fast to the truth that “All Men are created equal,” the same cannot be said when it comes to Florida’s beaches. All Florida beach weddings can guarantee a relaxing beach scene. However, each beach along the Florida peninsula has its own unique features. From horizon sun rise OR sun set, acres of natural landscape OR bustling beach town, there is a wide variety of beach options. Discover our picks for the Best Florida Beach Wedding Locations along the east coast! So if all of those points have you ready to say, “I do!” Then read on to make your next decision, just which Florida Beach? Some say all east coast cities can be considered some of the beast Florida beach wedding locations because of their absolutely stunning ocean sunrise views. Don’t run to the other coast just yet though if your heart is set on a “sunset” on the horizon wedding. East coast sunsets produce some magical skies and brilliant colors too! Check out this photo gallery for proof of that! As for the ocean, the Atlantic tends to be a little more adventurous when it comes to ocean sports. So “surf’s up” east coast wedding couples! Admired by residents and tourists alike, St. Augustine is hands-down the one of the best Florida beach wedding locations. It’s packed full of rich history and colonial architecture amidst 42 miles of gorgeous beaches. Historic buildings, horse drawn carriages, and hidden courtyards are all charming features of the St. Augustine experience. Luxurious hotels and resorts or quaint bed and breakfasts, St. Augustine has a place to match your lodging personality. Live music, cobblestone streets, unique stores and incredible local cuisine are irresistible. St. George Street Unique shops, amazing eateries, live music, and who can say no to homemade gourmet popsicles and the Chocolate Factory?? Trolley Tours Learn and see all this city has to offer in one trolley ride. Then after passing through the town you can pick out which spots are worth a closer look. 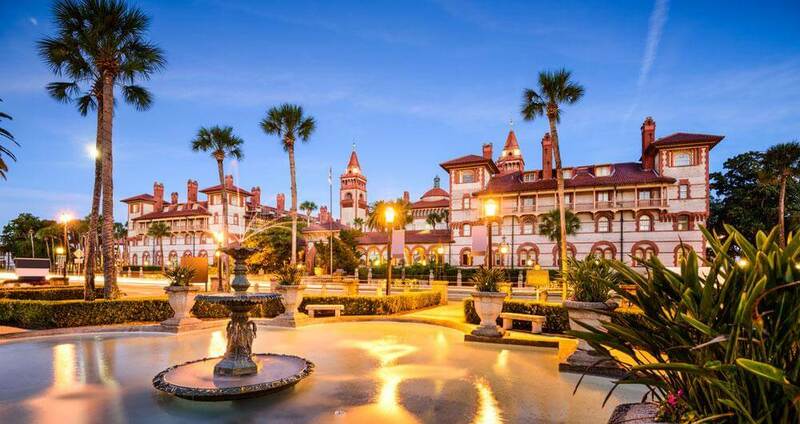 The Castillo de San Marcos fort, Old Jail, Lightner Museum, Colonial Quarter, Ghost Tours, Wax Museum, Distillery are just some of the many things to do in St. Augustine. Blue Water Boat Rental and Tours Check out the city and natural landscape from a different perspective. The “Craig Cat Catamaran” is a unique and fun way to ride the water! Daytona Beach Weddings can be the most affordable amongst the best Florida Beach Wedding locations. With miles of beachfront hotel property, hotel prices are competitively priced and there’s no shortage of budget friendly entertainment. Couples who want to really pack the punch when it comes to getting to do A LOT of things on one trip consider a Daytona Beach Wedding. One Daytona Shopping, Restaurants, Concerts, Movie Theater, Arcade, Bowling Alley… This one stop has. it. all. Daytona Beach Racing and Card Room Watch a greyhound race, play a round of Poker, and enjoy a seafood dinner all in one spot! Learn to Surf– Daytona Beach waves are great for veterans and rookies alike. With a surf school like Pure Life, you’ll have an amazing time learning and riding the waves. Just a couple of miles south of Daytona Beach, Ponce Inlet is the best Florida beach wedding location for couples who want a quiet, natural beach atmosphere. AND Ponce Inlet is within arm’s reach of all the entertainment but without the “city” feel. Ponce Inlet is tucked away at the end of a “no outlet” stretch of barrier island. It’s a 15 minute drive to all of Daytona’s main attractions, but has a private island feel. The rich history of this small beach town attracts couples looking for an intimate, “old Florida” beach wedding. Ponce Inlet Lighthouse Tallest lighthouse in Florida and second tallest in the nation, this structure represents one of the best preserved and most authentic historic light stations in the nation today. You can climb the 203 steps to the top for a view like no other. Ponce Preserve 1.6 miles of easy to moderate trails take you through dunes and across a boardwalk with spectacular views of the Halifax River and Atlantic Ocean. 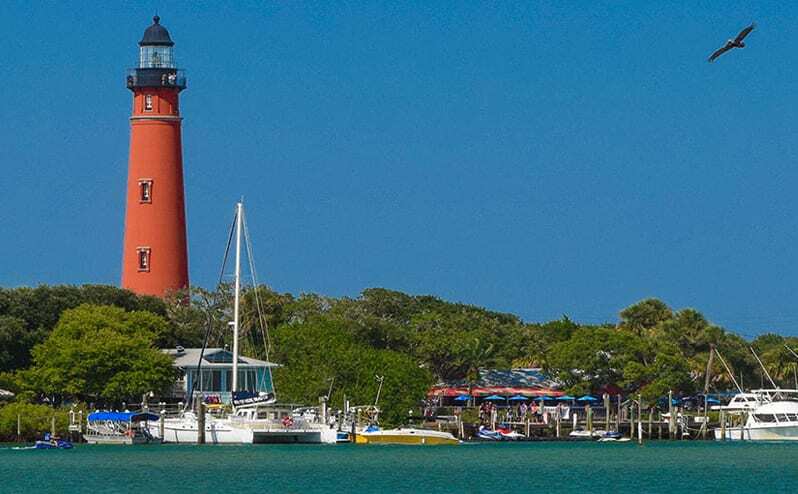 Ponce Inlet Watersports Whether it’s catching the “big one” on a fishing charter, paddle boarding, parasailing, or an ECO tour, you can find it here! “Fun Surf City” is the name of this game here in Cocoa Beach. It’s one of the best Florida beach wedding locations. Cocoa Beach is a popular beach for those who enjoy a mix of surf life and entertainment. 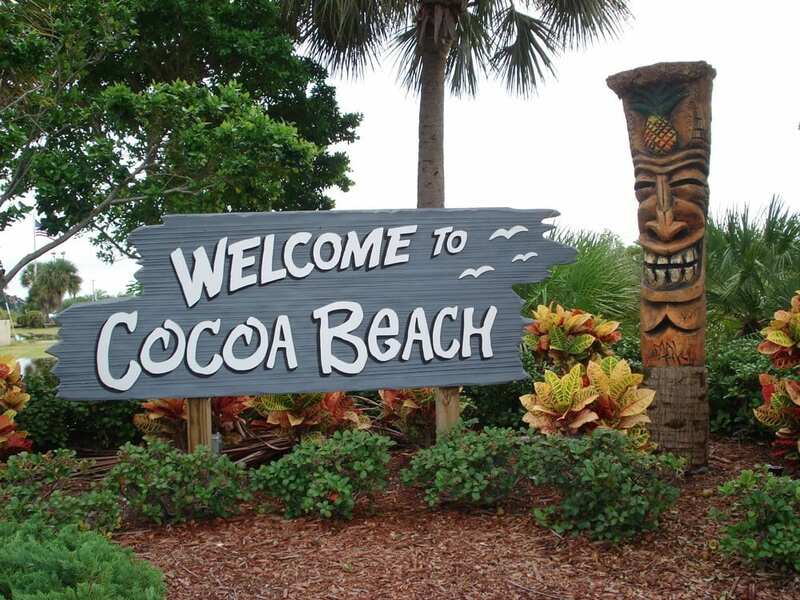 Easily accessible from Orlando, Cocoa Beach is a pretty straight shot west of “The Magical World of Disney.” It makes for great day trip for those wanting to stay in Orlando but still get a taste of the beach. Surf festivals and competitions create a real surf-side beach town feel. Ron Jon Surf Shop Quite possibly the most famous surf shop in Florida. Ron Jon is full of fun souvenirs, surf gear, and apparel. Also a great spot to get connected for all your water sport adventures. Ron Jon has it’s own surf school, offers kiteboarding opportunites and knowledgeable on any “surf” questions you may have. Kennedy Space Center Amazing spot to see all things space. From the history of space exploration to viewing actual rockets, simulators to present day launch pad viewings, KSC is nothing short of a spectacular experience. Lori Wilson Park A beautiful beach spot with umbrella/chair rentals, showers, free parking, and scenic boardwalk trails. If it’s blue skies, lush palm trees, white sand, and late night partying, you know it’s one of the best Florida beach wedding locations. Miami is the 2nd largest Florida city, behind Jacksonville, this city is full of bright colors, culture, and life! Lots of art deco architecture, gorgeous beachfront resorts, and glamorous beach goers. 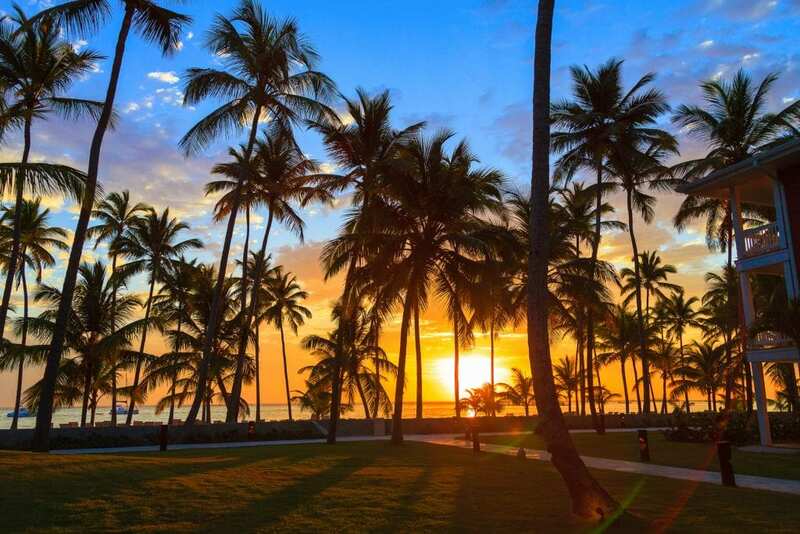 So grab a beach chair, a frozen drink, and take in all Miami Beach has to offer. You can even visit a site to narrow down the best Miami “must see experiences” according to your travel preferences. Cultural Festivals: The city of Miami is dedicated to promoting the arts and culture. With an Art in Public Places Program and Cultural Arts Council, there is always something inspiring to do or see in Miami. Nature Tours: Leave the party scene and explore the literal “wild side” of Miami. Ride a double decker bus, cruise an air boat through the Everglades, or go offshore fishing! Dance Clubs: Dance the night away as you celebrate your marriage at one of Miami’s many night clubs. You can learn salsa and sip mojitos until 5:00 A.M. at Miami’s famous Mango’s Tropical Cafe! !